A major Singaporean investor, named Oei Hong Leong, whose net worth hovers around the billion dollar mark, has sued Goldman Sachs Group over two currency options trades that netted losses of $34 million for the investor. The complaint refers to trading costs incurred by Mr. Oei, $34 million of which resulted allegedly by fraud, misrepresentation and misinformation pertaining to two trades in currency options on the Brazilian Real (BRL) and Japanese Yen (JPY) pair that had been solicited by Goldman Sachs, valued at $50 million each, as per the filing. The complaint was filed to the Supreme Court of the State of New York this morning, by Mr. Oei’s counsel. It names Goldman Sachs Group, Inc., the New York City-based parent corporation for global investment banking, securities and investment management firm, as the defendant. Representing Mr. Oei are McNulty Law Firm, together with local counsel Alan Friedman of Jersey City, NJ firm Bagolie Friedman. Today’s announcement follows a previous effort by Mr. Oei to sue Goldman over this situation, as reported in the media in September, and a previous successful case against Citi Group that led to a settlement (over bond-related trading), Mr. Oei’s representative, Peter McNulty of McNulty Law Firm, told Forex Magnates in an exclusive interview. According to the complaint filed today, Mr. Oei had business with Goldman Sachs since 2001, but had retracted most of his funds following a $28,500,000 loss associated with a 2011 trade. In 2012, Gary Cohn, the President and COO of Goldman Sachs, traveled to Singapore with other high level executives in order to meet Mr. Oei and persuade him to resume trading with the firm. As reinforcement, even the former US ambassador to Singapore had been invited to the gathering which was aimed at winning back Mr. Oei as a customer, Mr. McNaulty told Forex Magnates. Mr. McNaulty further described how Goldman Sachs, through Gary Cohn, assured Mr. Oei that his money will be treated in the best way possible should he decide to renew his business with the firm. 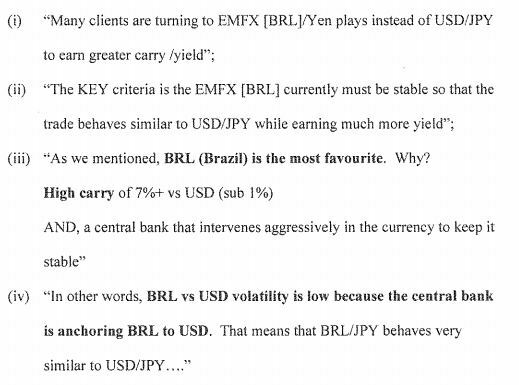 Shortly after Mr. Oei agreed to resume trading activities with Goldman Sachs, he was recommended two currency option trades involving the BRL and JPY pair. According to the complaint, Goldman Sachs employees have made reckless and false statements regarding Mr. Oei’s business, following which he had realized two currency option trades for $50 million each. Just a day after he entered into these two trades, Mr. Oei claims to have learned that the strike prices Goldman Sachs used were the worst prices of the day. Furthermore, he later learned that a second strike price offered for his trade was actually the worst of the year. Also, no voice logs were made, which is contrary to Hong Kong regulations, according to the complaint. Mr. Oei then instructed Goldman Sachs to immediately unwind these trades at cost or better, but he was provided with an unwind price only five days later, on May 21, 2013, when he learned that Goldman Sachs wanted $18,000,000 to unwind these two trades which would result in him incurring an $8,000,000 net loss. 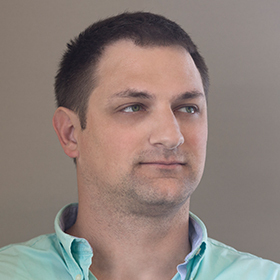 Mr. Oei cancelled loss-bearing unwind order and claimed, according to Mr. McNulty, that as market maker or counterparty to the trade, Goldman Sachs should be willing to make good on these trades by reimbursing the client for the costs incurred, in addition or in accordance to any alleged wrongdoing cited in the filed complaint. On May 24, 2013, Goldman Sachs provided Mr. Oei with a “Sensitivity Analysis” which confirmed that the two trades he had entered into were illiquid on favorable terms. According to the official press release from McNaulty law firm, on June 10, 2013, when Goldman Sachs belatedly provided Mr. Oei with a written trade confirmation, he refused to sign it as it referenced the two strike prices which by now he knew were unfair and much worse than he could have reasonably anticipated. According to Forex Magnates’ research, this may have been a key legal deciding factor, as the billionaire tycoon implied that something didn’t seem right when he refused to sign the subsequent paperwork that followed the suspected trades in question. The press release posted by the McNaulty Law Firm also stated with regards to regulatory developments that because of perceived abuses in the trading of financial derivatives, such as the currency options involved in Mr. Oei’s case, the Commodity Futures Trading Commission (CFTC), an independent agency of the United States government that regulates futures and option markets, and the Board of Governors of Federal Reserve have promulgated various regulation seeking to ensure that customers are aware of the inherent conflicts of interest that exist on such trades. Mr. Oei alleges that Goldman Sachs never disclosed this conflict of interest or other relevant facts before he entered into the trades that resulted in his more than$34,000,000 loss. The complaint sets out causes of action alleging fraudulent misrepresentation, breach of fiduciary duty, corporate malfeasance, fraudulent inducement, unjust enrichment and aiding and abetting of fraudulent conduct. Mr. Oei seeks compensatory and punitive damages in this action. 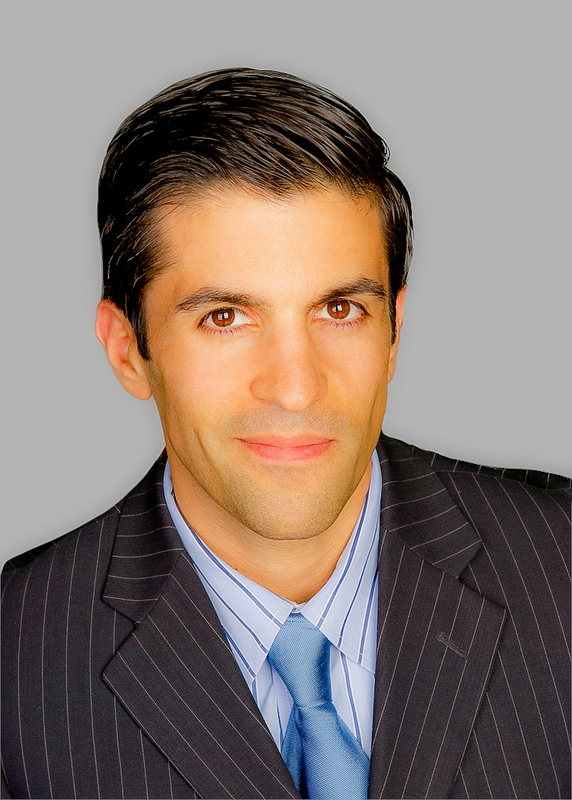 While Mr. McNulty of the Los Angeles-based McNulty Law Firm is lead counsel for Mr. Oei, Alan Friedman of the Jersey City, NJ firm Bagolie Friedman is local counsel for Mr. Oei in New York. A full copy of the filed complaint, including the 197 allegations summarized as part of the filing and was posted on the McNaulty group website. 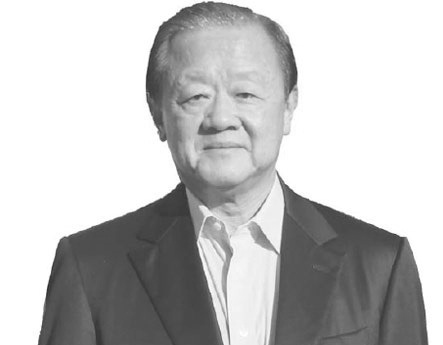 Mr. Oei is ranked as the 32 richest person in Singapore according to the Forbes List, which also estimates his net worth at $745 million as of August 2013. Mr. Oei, had previously successfully settled with Citigroup after he claimed Citigroup failed to execute orders for $600 million in U.S. 30-year treasury bonds in November, that were placed to covered call options he had written, as told to the media and based on a case involving Mr. Oei vs Citigroup filed in a high court in Singapore. Forex Magnates reached out to the Goldman Sach legal department, concerning the complaint filed today that was posted by McNaulty’s website and dated December 4th, 2013 (today), but to no avail as of publication. How does a guy like this not have his own advisors, and instead relies on expertise from his counterparty? And the vampire squid at that? Doesn’t sound all that sophisticated.. I do have to agree somewhat with Andy. Blaming the fox for breaking the promise to keep the hens safe. He's not blaming them. He's just greedier than Goldman.